My head is just reeling. I am not even sure what I want to say tonight. Obviously, I am so sad about Halloween tomorrow. 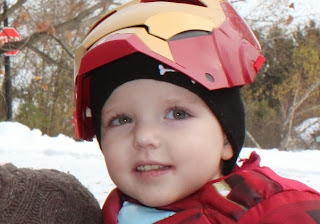 Every time Gavin's eyes light up over the prospect of putting on his Ironman costume tomorrow (Iron Patriot, to be exact) I am reminded of Ty in his Iron Man suit. My plastic pumpkin is sitting by the door filled with all sorts of gross, spooky Halloween candy that Ty would have loved (like gummy organs and chocolate ears and bags of "blood") but it doesn't bring me any joy because Ty wasn't here to look at the catalog and pick them out for me. I promised him I will always have great candy on Halloween, and I hope he knows that I am keeping that promise. He enjoyed opening to door for trick-or-treaters and giving out candy more than he enjoyed trick-or-treating himself. Tomorrow I will reluctantly carry on the tradition for Ty - and of course, for Gavin. There has been so much about this one-year anniversary that has been making every day harder than usual. I was doing so well for so long, and lately all of the tiny little pieces that I was slowly putting together began to crumble again. Lou has been going through the same emotions. One year later and the pain of losing our son feels so much more real. It feels like we spent a year surviving, getting by, learning to smile again, escaping... and now we are faced with the reality that it still hurts just as much and the only difference is that 365+ days went by and he still isn't coming back. I got in my car last night and it was the first time there was a real winter chill in the air. I drove around thinking about how soon these trees would be covered in snow. Then I tried to remember last winter, and I couldn't dig up one single memory. I thought to myself, "I know I lived an entire winter without Ty, but I can't remember how? What was I doing every day?" Technically, I know the answer of course. But in my mind it's like it didn't even happen. Apparently, I am not alone in this phenomenon. I keep in touch with other grieving parents and I guess this whole one-year sinking-in feeling of all-around awfulness is part of the grieving process. I have also been weighed down by tremendous guilt lately. Guilt that in my heart of hearts I know I don't deserve, but I can't stop it from suffocating me. I am consumed with thoughts of Ty's suffering. I was his Mommy. I was supposed to make it better. To protect him. And instead, I stood by his bedside, helpless, holding his hands while he begged me to stop the nurses from sticking needles into his chest. And those needles were the least of the horrors that he endured, all while I stood by watching. Whispering "I love you, everything is going to be okay." Lies. It was all lies! How can I even live with myself? When he was home during his healthier cancer days, we still had to go to the hospital to get accessed for bloodwork every week. He always seemed to know something was up. "Mama?... Where we goin?... Mama?.... Where are we driving to?" with worry in his voice. "I don't know baby, just for a drive," I would say, so he wouldn't scream and carry on the entire 20 minutes. Every time I pulled into the parking lot the tears would flow and screaming ensued. He would beg me not to go inside. I wonder if he felt betrayed. One time he got so physical with me, he "escaped" down the hospital hall - scooting away from the blood lab and screaming "no, no, no I won't let you do it!" How defeated he must have felt every time to have NO CONTROL in those decisions. He was proud to have gotten so far down the hall, only to have me reluctantly march over and pick him up to bring him back to the room. What choice did I have? I wonder if I should have handled that differently. In hindsight, I think there are a lot of things I should have handled differently. Please understand that this is a cleansing for me. It feels good to release the truth about what I'm thinking when I reflect on Ty's treatment. I know that we did all we could do. Every decision we made for Ty was made out of pure love, with his well-being the most important factor. We had such tremendous hope that all of his suffering would reap the greatest reward and he would go on to live an incredible, inspiring life. Now I just need to learn to accept that we didn't make any wrong decisions. That the outcome was never predetermined, and we did all the right things to try and save our baby. It's just so unfair that we even had to make such decisions. It's even more unfair that he won't be putting on a costume tomorrow. He was just a little boy. A sweet, innocent, perfect little baby. And he was mine - I consider myself the luckiest person alive, regardless, because of that fact alone. Our entire family has been pretty in sync lately. Even Gavin was having one of those days today. He mentioned his brother twice today, once when he saw the letter "T" and once when he was telling me about how he wants to draw a family portrait for Lou's birthday present (Lou's bday is next week). After his bath he made a sad face in the mirror. He asked me if I remembered when he cried for Ty and said "I want Ty to stay." I said, "yes, I remember, and I wanted Ty to stay, too." "Bad God! I am MAD at God." "No baby, don't be mad at God. God helped Ty get better by bringing him to Heaven." "No! I say BAD God, because I wanted Ty to STAY! I wanted him to go to the HOSPITAL to get better, not HEAVEN! AARGH!" I pulled him up on my lap and told him that heaven is better than the hospital and that he will get to see Ty in heaven some day. He started to ask me about Heaven, and I never know what to say. "What's it like in Heaven? Are there ladybugs?" "I think so," I said. "And rainbows, and lots of other children, and all the candy you could ever want. I think heaven is really beautiful. And FUN!" He seemed okay with that. My sweet boy just misses his brother. I can certainly understand that. Halloween will never be the same, but I vow to enjoy it with Gavin because Ty wouldn't want it any other way. My heart is breaking for you. I can't imagine the grief and horror and yes, guilt, you are feeling. I don't want to imagine it or experience it. It's got to be a tremendous burden. So I won't give you platitudes. I will only say that Ty is beautiful and that tonight I will say a prayer for your family that each day your grief lessons a bit. Ty will be there right by your side today, giggling and smiling and taking in the joys of the Halloween. You may not see him but he is there! Oh, my heart is so heavy. Your Gavin is trying his best to make sense, but these are signs too. Comfort yourself with Ty's complete and miraculous healing in heaven. I wonder what they do on our "holidays?" My faith has wavered so much since learning of childhood cancer and especially Ty's story. The only possible good that could ever redeem that suffering is that he is healed and happy and enjoying his every moment in the glory we've been promised, waiting for the day he'll see you again. I think he's doing his best to tell you and show you in his Ty ways that "It's okay momma. It was always okay." Even if it only comforts you a little today, hold fast to the fact that your sweet boy is free from this world- of the pain and the heartache and the fear, and he has wished for your comfort a million times. He knows what you feel Cindy - he is in your heart. He always will be. I agree wholeheartedly with this post. Well written. I pray often for peace and comfort for the Campbell family, and for Ty signs. This morning after I loaded my 3-year old son in the car and we were driving away, he said, "mommy, do you like ladybugs?". I said yes, and he said, "I like to say hi to ladybugs." This was completely out of the blue, with no prior talk of ladybugs or even any bug at all! In fact it was really the first thing we discussed in the car! Maybe Ty is sending ladybugs to all the children in honor of one of his favorite holidays! no matter what, it made me think of Ty and reminded me to slow down, enjoy my son, and not get overwhelmed by a hectic morning. Love to your family today. As a parent I completely understand all of the feelings of guilt and I'm glad that you realize that you did everything humanly possibly for your beautiful Ty. Please don't doubt this for a single second. You are and continue to be an inspiration for so many of us parents out here. I want to be a better parent because of you. I'm glad that you can express your feelings on this blog because you are a beautiful writer and your writing is inspiring to all of us. I wish that this blog never had to exist but you have given us so much by sharing your life with Ty. I have not commented in a long time because quite frankly I don't know what to say that can help you to feel better or get through your grieving process. I know that there is no end to grief that we just learn somehow to live with it in a more peaceful way. I wish you peace and please know that you are not alone with your grief. Your beautiful Ty continues to be an inspiration to all of us. He will never be forgotten and even though I am not the most religious person out there I truly believe and know that you will be reunited with him one day. In the meantime I hope you can find more peace and happiness in the life that surrounds you. This is one of he most difficult post to read because Cindy as a mom I would ask myself the same questions every time. The things that I always wanted to know are what did he think about what was happening to him? Why did he think that he needed the painful treatment to make him better? I cna't imagine standing helpless when my child is hurting. and you can't make it better. There is no worse feeling in the owrld than the feeling of not being able to help your suffering baby, and having to lie to him about where and what was happening. But I promise you cindy, all od us would have chosen the same path you did, beause how can you not? How can you not try everything in the world to save him, even if maybe it hurts him. You think of his whole future ahead parying that he will get better and it will all be worth it. What if?! I promose you that all of us would have done the same over and over again. I hurt for you so much, how are you suppose to go on and smile when one child is no longer here and the other wants and deserves happiness. Is that your Sofie's choice? To conitnue to live for Gavin and in your heart count the days until you reunite with Ty. What a horrib;e feeing, what a misery. I am so so sorry for you. I am so sorry for so many things. I am so angry that kids still die and nothing changes. But I force myself to believe that its all not for nothing. There simply must be heaven where Ty is enjoying and living for eternity and that you will be with him forever. Miss you superTy, my superhero, my superbaby, my super everything!!! Oh Cindy you are right. Everything you did was motivated by love and hope. Being a mom I also understand your guilt. We want to be supermom, and most of the time we are just human women who would trade places with our children to take their pain or sadness. For what it's worth, you did exactly what I would have done. I pray for strength for you. Please dont ever apologize or explain that you are cleansijg We are all here for you. Please let it out here and know that we are all praying for your strength. God Bless you. I wasn't sure if I should post this here or send you an email, but I just wanted to say that I am pretty sure Ty was in our area last night. It rained the entire time of trick or treat and all of the kids were out in their costumes getting candy and jumping in puddles. Even though it poured almost the entire time, we still the same amount of kids as we do on a sunny Halloween. 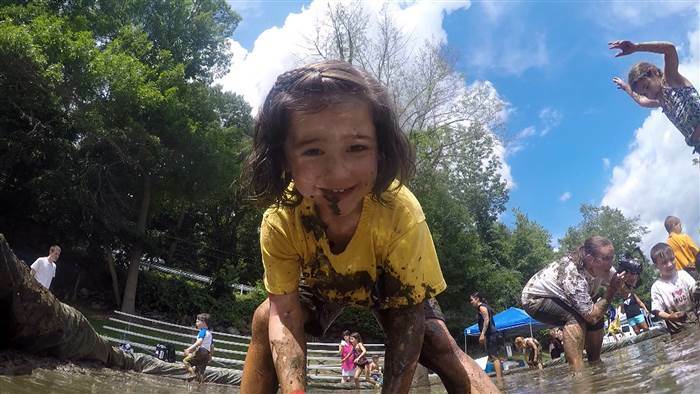 It was like Ty was making it so these kids could enjoy two of the things he loved (candy and the desire to jump in muddy puddles)! My 5 year old even said this was the best Halloween yet and I think Ty had a part in that! I had just finished reading your post from my cell phone as I was waiting to help set up for "trunk or treat" for my son's PreK class. I was struggling with what I should say; I felt that this was a post that I wanted to respond to. As we put the finishing touches on the car, suddenly a ladybug crawled up to check out our handiwork. We all stopped, gasped "a ladybug!!! ", and marveled. Adults and children alike. It is amazing the significance this tiny being has to so many people, for many different reasons. I smiled quietly to myself and I thanked Ty. I thanked him for the reminder about how somethings...and someones...so small can mean so very much to so very many people, and I thanked him for giving me this experience for me to share with you. My heart is breaking for your whole family. You are beautiful people. Today I will be a gentler, more loving mom to my boys. Life is fragile. Your strength is inspiring.